The most common lamp used for general lighting is the simple filament type. A current is passed through the fine tungsten filament which raises it temperature to around 3000oC and when it becomes incandescent, it starts to glow. 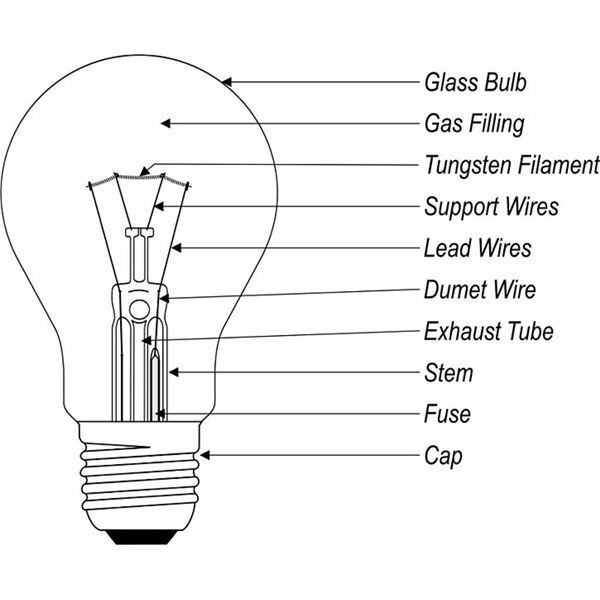 The glass bulb is filled with an inert gas such as nitrogen or argon which helps to reduce filament evaporation, allowing an operating life expectancy of about 1,000 hours. The ordinary filament lamp is called a “general lighting service lamp.” One variation of the basic lamp design has a special coiled-coil filament which increases the life expectancy of low power (up to 150 watt) lamps that are referred to as “double life” lamps. Specially reinforced construction lamps (“rough service”) have a tough filament for use in areas where shock and vibration are expected. This type is useful with portable hand lamps. 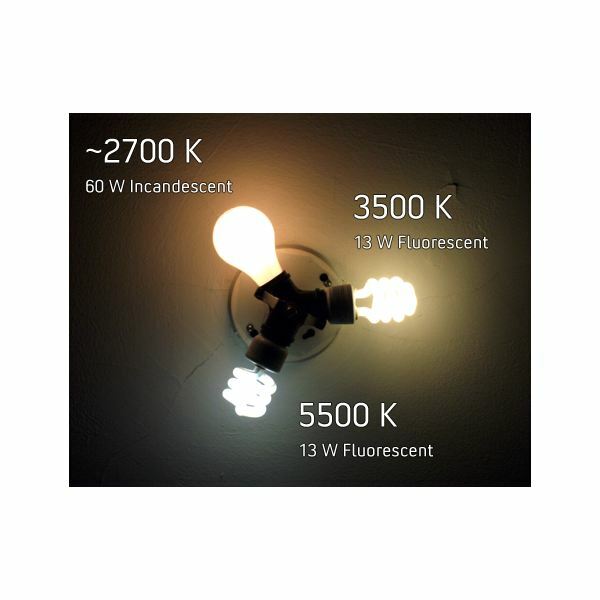 Other variations include the clear glass bulb, the inside-frosted glass bulb, which reduces glare, tubular construction bulbs, internal reflector lamps, and decorative lamps and heating lamps. 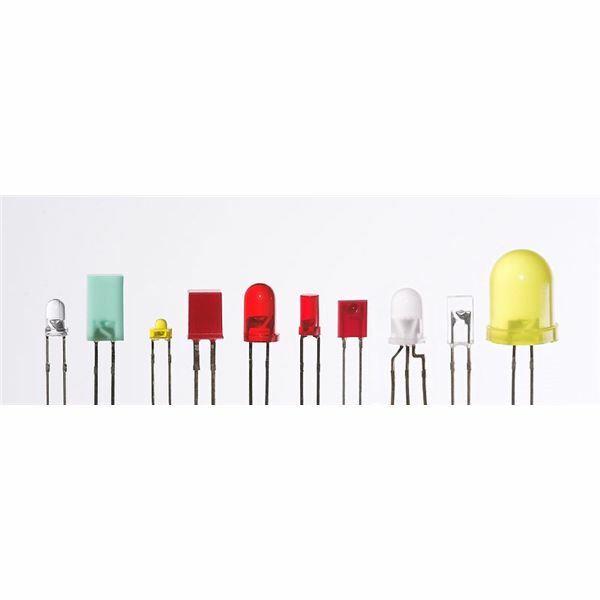 An increasingly popular variation of the incandescent lamp is the tungsten–halogen type. 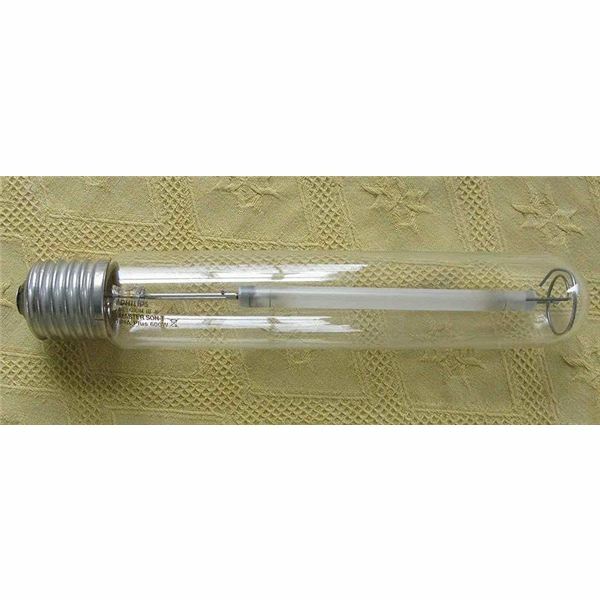 This lamp construction has a gas filled quartz tube or bulb which also includes a halogen vapor such as iodine or bromine. When the filament is heated, evaporated tungsten particles combine with the halogen vapor to form a tungsten–halide. At high filament temperatures, the tungsten vapor re-forms on the filament. 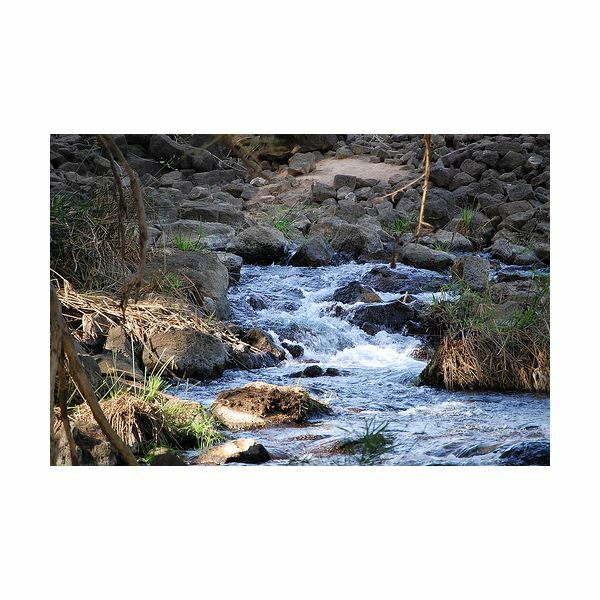 This regenerative process continues repeatedly, creating a self-cleaning action on the inner surface of the glass tube or bulb. 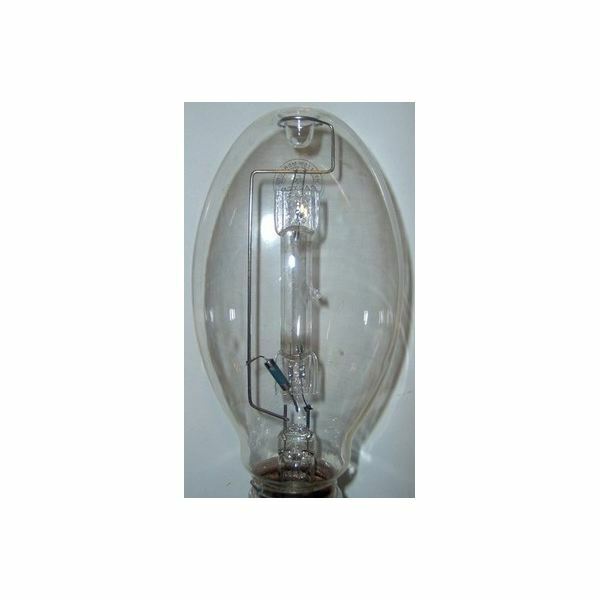 In an ordinary general lighting lamp the tungsten evaporates from the filament causing an internal blackening of the glass bulb which eliminated in the tungsten-halogen lamp. Tungsten-halogen lamps should be carefully handled when being fitted. 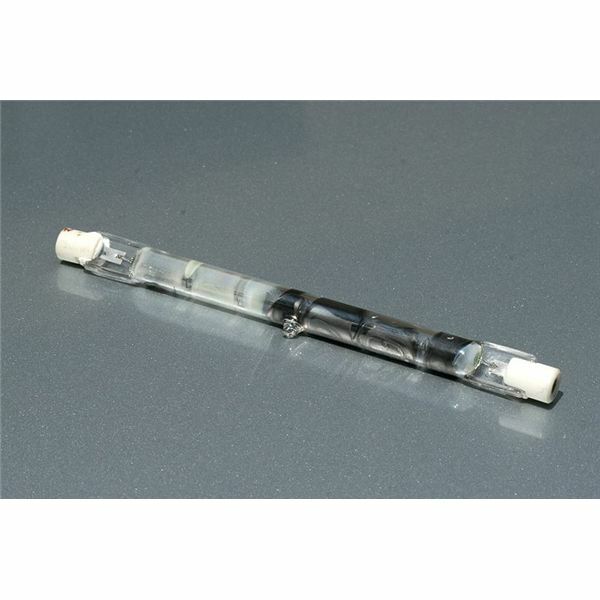 If the outside surface of the quartz tube or bulb is touched with dirty or greasy hands, premature failure can occur due to fine surface cracks that form in the glass. Handle the tube by its ends only. 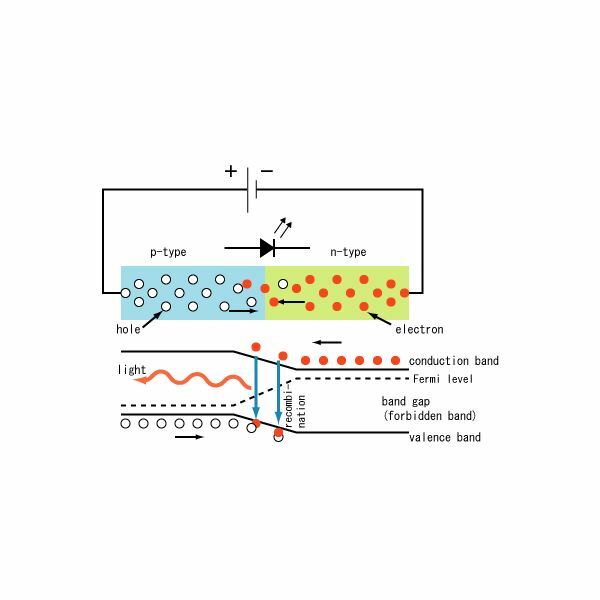 The light output from a discharge lamp is generated by the flow of current in an electrical arc between two electrodes through a gas and a metal vapor inside a sealed glass bulb or tube. 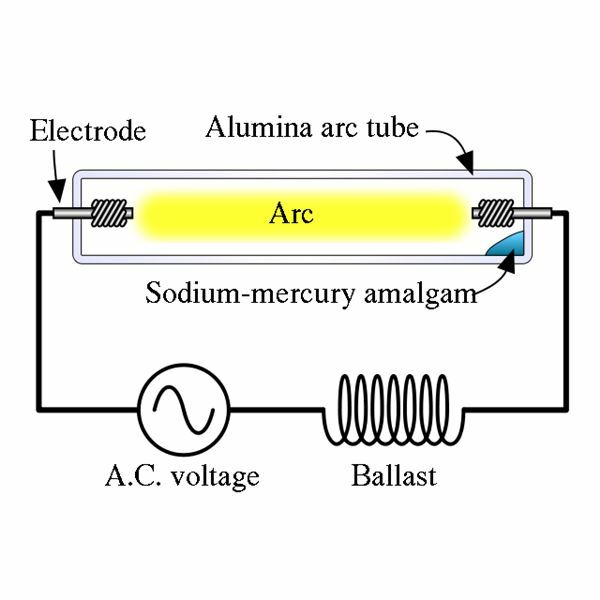 Mercury and sodium are the most common metal vapors employed in discharge lamps. 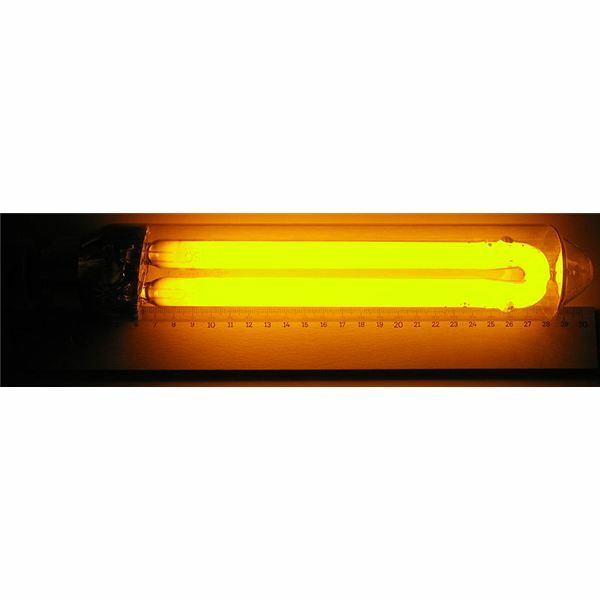 Low and high-pressure types of mercury and sodium lamps are available. In this type of lamp, a suitable voltage applied between the electrodes of discharge lamp causes an arc discharge through the gas. This ionization of the gas either creates visible light directly or by secondary emission from a phosphor coating on the inside wall of the lamp glass. 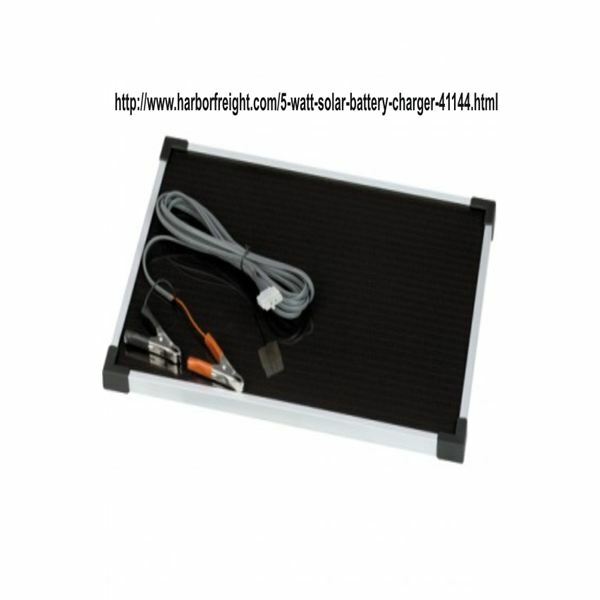 The discharge lamp current must be carefully controlled to maintain the desired light output, and some form of current limiting “counterbalance” is required. This counterbalance is often an iron-core inductor coil (choke), but special transformers and electric regulator counterbalance circuits are also used. The counterbalance circuit must match the lamp to ensure correct lamp operation for high luminous efficiency and long life. 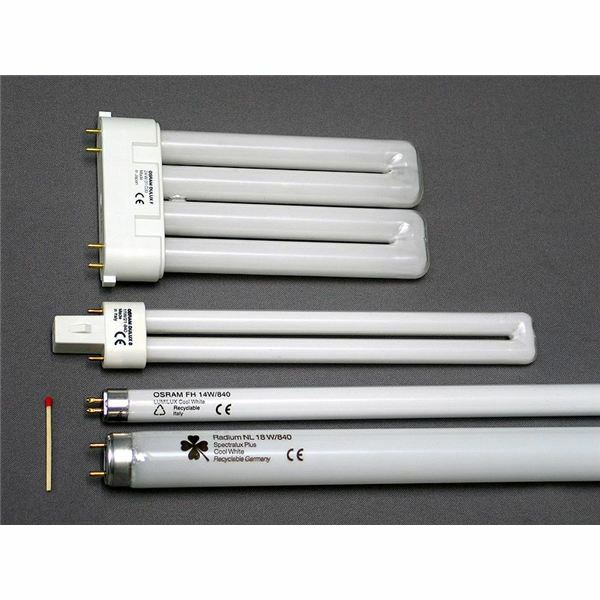 Fluorescent tubes are available in lengths from 150mm to 240mm with power ratings from 4 w to 125w. the tubes ends are usually fitted with bi-pin lamp caps or miniature bi-pin for the small tubes. Typical luminous efficiency for a florescent tube is about 70 lm/W with an average operating life of 5000 hours. To strike a florescent tube its gas filling (usually argon or krypton) must be ionized by a voltage between its cathodes that is slightly higher than that required to maintain the normal discharge. 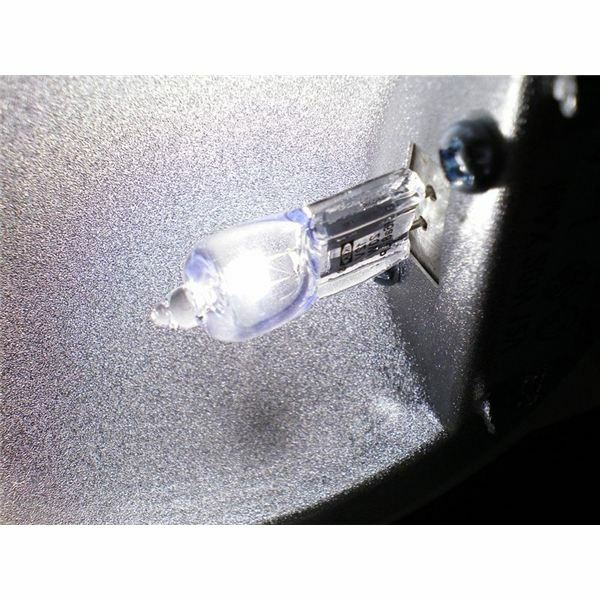 The high pressure mercury vapor lamp comes in sizes ranging from 50 to 1000w and are fitted with Edison screw lamp caps. Its luminous efficiency is in the range of 40 – 60 lm/W with an average life of around 7,500 hours. The lamp takes several minutes to reach full brightness. It will not immediately restrike when rapidly switched off then back on because the vapor pressure prevents this happening. 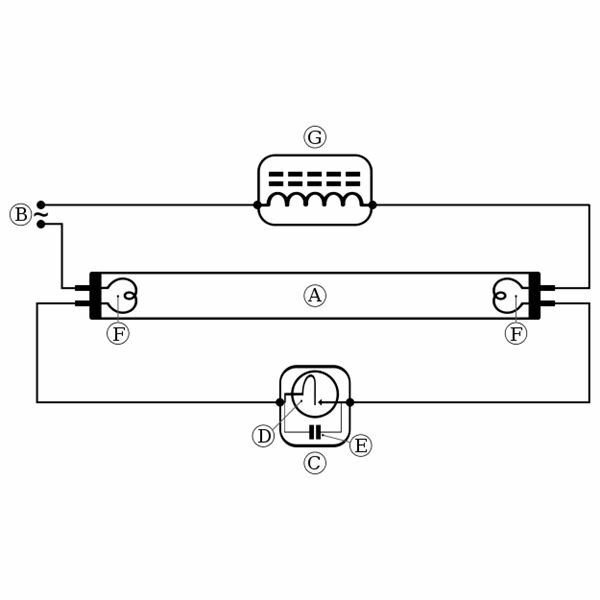 Restrike will occur when the discharge tube has sufficiently cooled down. 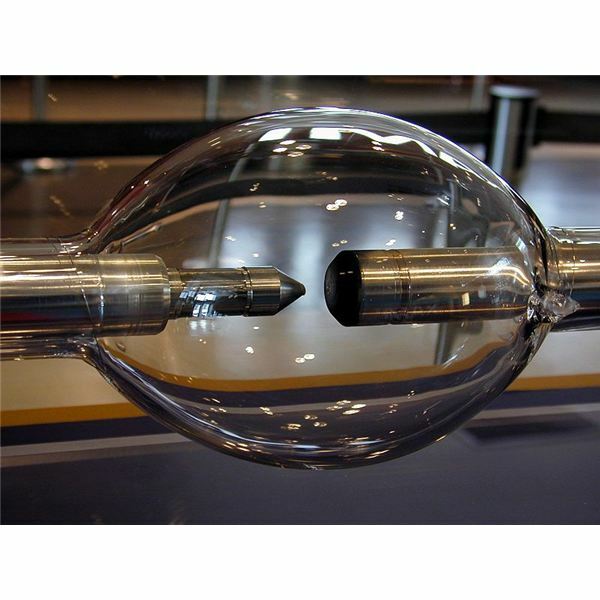 Lamp gas ionization is obtained between secondary electrodes fitted close to one of the main electrodes that warms up the tube, and an arc strikes between the main electrodes. Mercury which was condensed on the tube will then vaporize and the secondary electrode ceases operation as the lamp pressure builds up. Sodium vapor lamps are similar to the mercury vapor lamps, as they come in both low pressure and high pressure versions. 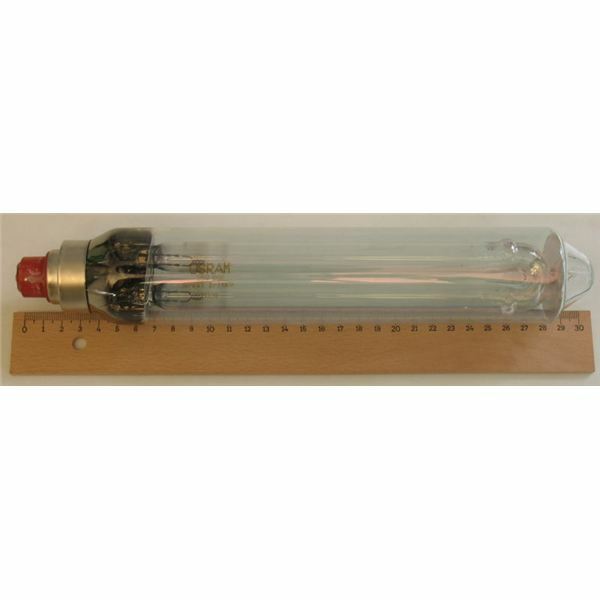 The lamp has a u-shaped arc tube containing metallic sodium and an inert gas such as neon. The low pressure sodium lamp needs a high voltage, so it uses a special transformer ballast circuit. When first ignited, the sodium lamp gives a red glow as the discharge is initially through the neon gas. As the lamp warms up the sodium begins to evaporate and take over the discharge from the neon, causing the lamp color to change from red to yellow. The high pressure sodium vapor lamp gives a wide spread of illumination with a golden white light. The lamp starting is achieved by a high voltage pulse from an electronic igniter circuit which ceases to function once the main arc has been struck. A start up delay of about five minutes is required for the lamp to reach full brightness, but it will usually re-strike with in one minute of extinction from the hot condition. 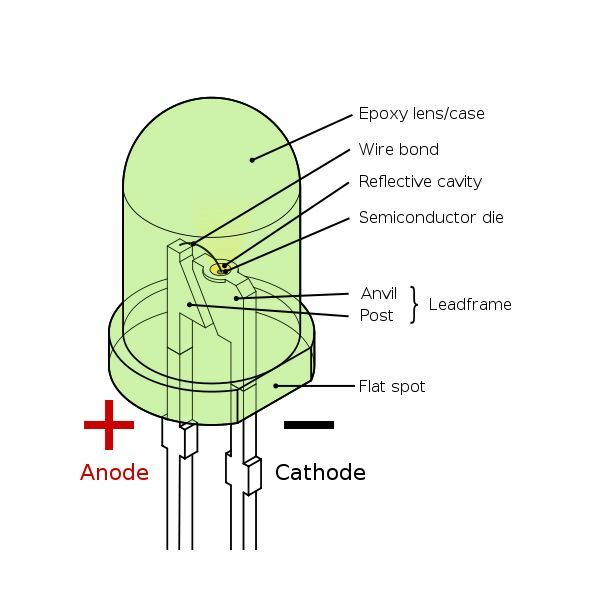 A light emitting diode (LED) is a diode that gives off visible light when forward biased. 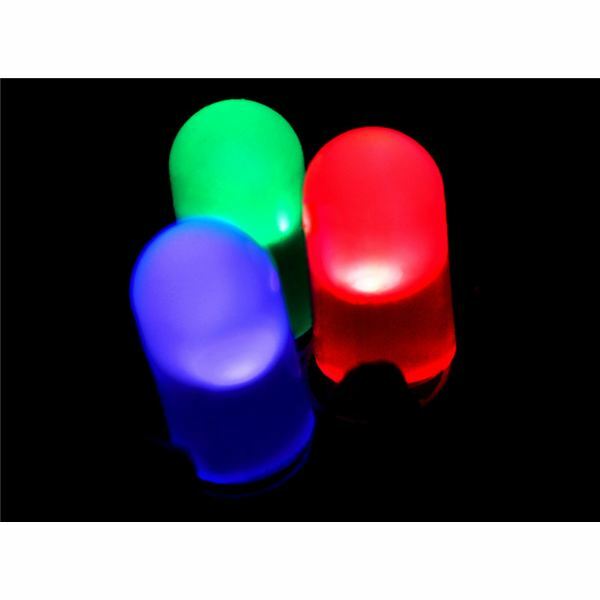 Light emitting diodes are not made up of silicon and germanium but are made from elements like gallium, phosphorous, and arsenic. By varying the quantities of these elements, it is possible to produce light of different wavelengths with colors that include red, green, yellow, and blue. For example, when an LED is manufactured using gallium and arsenic, it will produce a red light. 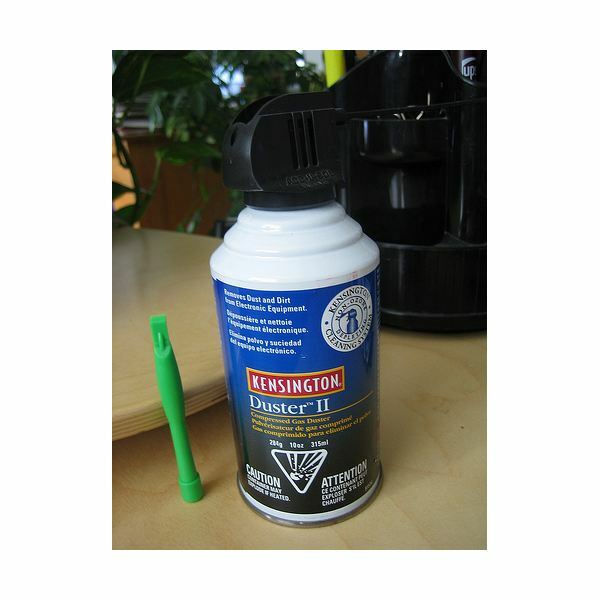 When it is manufactured by using gallium and phosphide, it will emit green light. Working of LED is the electron from n-type material cross the PN junction and recombines with holes in the p-type material. The free electrons are in the conduction band at a higher energy level than the holes in the valence band. When recombination takes place, the recombining electron releases energy in the form of heat and light. So this is all about the different types of light bulbs. Thanks for reading.